I want to tell you about a real-life economic thriller that has a minimum US$5 billion in annual cash flow at stake – not revenue, but actual cash flow. This story reads like a John Grisham novel, or Dan Brown’s “Da Vinci Code” where very powerful forces are fighting over a huge prize – and one small player holds the key. It’s a micro-cap, TSX Venture listed company who holds the key to one of the most lucrative cash flows in American business. I’m talking high margin cash flow – where you get paid like clockwork, with no fuss, forever. As I figured all this out a couple weeks ago, I bought several hundred thousand shares of this company. After all my research, I think this has the chance to be the easiest and fastest multi-bagger I’ve ever bought. I think this trade works out in months not years. Multi-bagger investments are supposed to require patience… not moving quickly. I expect this company to be the exception to that rule. You would look at the very bullish 5-year stock chart of Motorola Solutions (NYSE:MSI) and have no idea how close they are to losing one of their core markets. 4G broadband cellular network technology is about to eat the company’s core Land-Mobile-Radio (LMR) business. This isn’t a case of something that “may” happen. It is already happening and I expect Motorola to act fast to do something about it. For 80 years, LMR (or “push-to-talk”) is what EVERY truck driver or commercial vehicle uses to communicate – and Motorola dominates the game. These are devices used by First Responders (police, fire, and ambulance), public works employees, taxis, construction crews and any company with large vehicle fleets. Motorola has had a monopoly over this business with its Smartnet II system for years, if not decades. 4G ends that monopoly because it will now not only allow for the others – the deep pocketed US cell carriers (think, Sprint, T-Mobile, Verizon, AT&T – HUGE multi-billion dollar corporations) to provide this function – but to do it better. You see this isn’t just competition for Motorola – it antiquates Motorola’s existing product. It’s the equivalent of the cell phone carriers being Netflix and Motorola being Blockbuster Video. This war is over before it starts. 4G networks now provide the coverage and data capabilities to be able to send packets of data from one person to multiple people, like LMR has done for decades. As a result, all of the major North American cellular operators – Bell, TELUS, Rogers, AT&T, Verizon, Sprint – are racing into this market. This is the biggest new niche market (niche = non-consumer) that these companies will get a crack at – a minimum US$5 billion in annual cash flow from new airtime charges. That explains why they are so aggressively chasing it. Example: AT&T runs the First Responder’s Network in the US for ambulance, fire and police use. There are some 2 million vehicles around the US that still use two-way radio but will need hardware upgrades to be compatible on this new “cellular network”… so AT&T for sure has HUGE incentive to try to steal a huge amount of this business from Motorola, because THEY can offer the network. Why? At US$30/month for a 4G talk and data plan, would mean $720 million in very high margin revenue – and that’s just the airtime. This is recurring revenue, and it’s incredibly lucrative! All total in the US, there are some 12 million vehicles with the potential to move to 4G communication. Being the sole provider of the hardware – the in-vehicle smartphones – at $1,000 USD fully installed at excellent margins – is worth over US$4 billion in cash flow to my microcap hardware vendor. And that’s what my micro-cap investment has. This entire transition to 4G technology is already going through the hardware of my micro-cap investment. I’m not waiting and hoping for this to happen; it’s happening now. You see, it already has contract with a major cell phone company and it looks like Motorola just jumped on the bandwagon. The two sides in this war – Motorola and the cell phone companies – are circling this micro-cap. They look at each other, and then look at this microcap company, realizing this little company controls the hardware that moves 12-14 million commercial vehicles faster than anything else. 4G isn’t just US$5 billion in new annual airtime charges for the cell phone companies – it’s also a high margin, $12 billion hardware market for them. Normally, cell phone carriers don’t buy hardware companies. But when you can freeze out your current competition on a very large niche market, and have confidence of no future competition… that’s a juicy prospect. No other truck-specific hardware is certified by Motorola and the cell phone companies. This certification takes a VERY long time and a proven record of success. You see, the old 3G technology made this company’s hardware only relevant to a very small niche market in commercial fleets. So, nobody else bothered chasing this market. But as 4G became mainstream, cell phone companies got their AHA! moment, realizing how it would forever change communication for almost every commercial truck and truck driver in America – opening up billions of dollars in new annual airtime charges, and hardware sales. 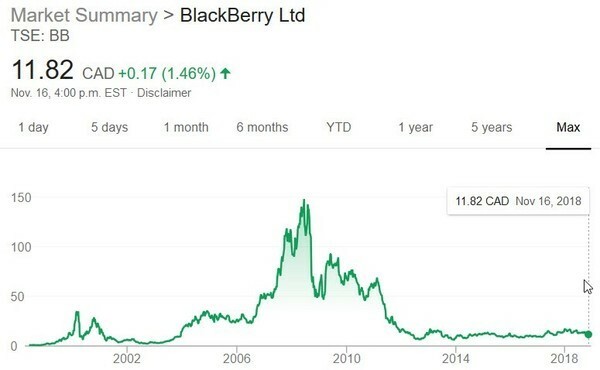 By the way, you may be interested to know that the last Canadian company to get their phones certified by a carrier was Blackberry. It was a penny stock, under $5, and ran to over $140/share in just a few years as it was adopted. The largest Canadian cellular carrier has already inked a contract with the microcap company that holds the key to billions in annual potential cash flow. This micro-cap’s management has said publicly that the American cel phone companies are well down the road to doing the same. They have to – because there is really no other company for them to partner with. This 4G microcap is a proven commodity having already put 250,000 (two-hundred fifty thousand!) of previous generation phones in place. Folks, this revenue ramp is starting NOW. This is NOT something that may happen… it IS happening. That’s why I immediately bought stock as I did my research. Each side has made their first move – this microcap has small contracts with both Motorola and a major cel phone carrier. There is no competition on the horizon–and I mean years away – that offers a similar product. There are a few things that are very clear about this story. The first is that in 2019 revenue for this 4G microcap company could soar. Contracts that are already in place make that a certainty. Using only conservative assumptions about revenue and a conservative 5 times sales valuation for this fast-growing business I see a $200 million market cap here – four times the current share price. As I mentioned, this company has already signed contracts with a major Canadian cell carrier. Meanwhile it has also been working towards similar contracts with major American carriers. In fact two months ago the CEO said publicly that he expected an announcement on a deal with a major American carrier within months. You only talk like that if you’re sure. This would be huge news. Imagine a microcap company with a $50 million market cap signing a distribution deal with a $200 billion American juggernaut after doing similar deals with big the biggest player in Canada. You don’t see that ever… and it speaks volumes. The announcement won’t just be a huge catalyst for the company’s share price. It will also force the hand of these large corporations – Motorola and the cel carriers. I think it’s likely Motorola – why would they give anybody a chance to move into the market they have owned for 80 years? Whoever it is, the longer they wait as this company’s revenue grows… the higher I expect the price to be. I think that if management can close on a deal with a giant American cell carrier – which they say they are close to – shareholders will be handsomely rewarded. That’s why I’m long the stock. That is why my next e-mail to you is going to be an early holiday gift. That e-mail will also give you the 3 Key Details on this economic thriller. I’ll give you a hint on each point…. Detail #1 – the name and symbol of my microcap stock. Detail #2 - I’ll outline how fast I see this massive transition to 4G happening in the US – driven by 2 million First Responders’ vehicles. This means Motorola and the cel carriers need to move fast on my 4G microcap. Detail #3 – I will clearly explain to you how this little company has no real competition and how it is now able to position itself as the only “go-to” option for all of these giant cell carriers. Detail #4 – How in a true stroke of genius this company was able to integrate itself with Motorola’s software to make them the no-brainer hardware option. It reads like a great spymaster’s tale. But…. I’ll give you one last reason I like this company and its stock so much – because if I’m dead wrong in my thesis and this microcap DOESN’T get bought out next year – that means their product will be sold by the sales forces of these giant corporations. And these phone companies have huge incentives to install this product as fast as possible – billions in annual high margin, recurring cash flow from new airtime charges from some 12-14 million commercial vehicles in the US. I expect this to be the easiest and fastest multi-bagger I’ve ever put into my portfolio. The incubation period for this trade to work out is going to be measured in months not years. Multi-bagger investments are supposed to require patience… not moving quickly. This opportunity would be the exception to that rule. The only real risk here is not acting soon enough. So, pay close attention to your inbox. I think this economic thriller will have a quick and happy ending for shareholders.